Artists/bands wishing to have their product reviewed, please adhere to the following criteria. Unless you do so, we are afraid we CANNOT consider it and it will be automatically deleted. We do NOT accept submissions via Facebook or Twitter direct message facilities. Please do NOT send attachments of any sort or PDF files. Information as stated below should all be in body of the mail. 2. Submissions MUST include the name of the artist (with more than one member, full names of each person) and instruments played, your location, together with a few brief sentences about yourself, and details of the release date and format. We also require a sound link to Soundcloud / Spotify / Bandcamp or YouTube of the product you are submitting. The sound link must also NOT be private and have a shareable embed code. Your product's release date - single, EP, album - should not be older than 3 weeks at the very most. We prefer to have submissions in at least a month BEFORE release where possible. We are sorry but unless we have all the above we cannot use. 3. Please do not send us something that first saw the light of day about three months ago - IT IS NOW TOO OLD! 4. Include your Facebook and Twitter links. If you don't have either, we would automatically think you are probably not very serious about getting your music out and across to people. These are vital resources for your fanbase reach! 5. We do listen to all that comes in, and will occasionally pass to our colleagues if we can't use but think they might like and be able to do something with. 6. 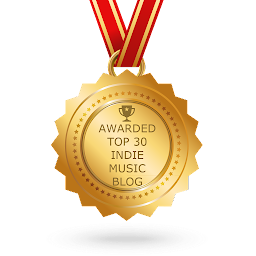 Little Indie Blogs are recognised by Hype Machine and one of the sites they refer to for their own artist lists. Therefore, being covered on our site enhances your chance of reaching a wider audience! 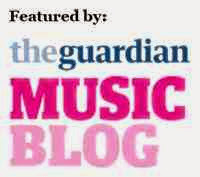 We also tip to Generator's - the UK's leading music development agency - Tipping Point (see http://tipping-point.co.uk/). 7. Little Indie Blogs will actively seek to promote a band or track that we hear and feature, by various means including Twitter, but also by private offline 'word-in-ear' This is obviously not standard for every single thing we post, but if we hear something that is too good to let go, we will put it out to other blogs, promoters, and to radio stations suggesting that they take a listen. This does not, however, guarantee airplay. You say you want sharable soundcloud links that aren't private, but then right below you say you like to receive submissions at least one month before it's released... if the product hasn't been released then how can you send anything other than a private soundcloud link? Just wondering...thanks! We don't state a month before for submissions, it says submissions should not be older than three weeks. Many artists put their tracks out prior to official release - how else do we get to hear about them? And how do we feasibly write about something that we cannot link with a public soundbite? You can still share a private track using the embed code. You may have to ask the artist for the embed code (although I don't think you do) but you can certainly still use one. We are aware of that. However, a private track means that it cannot be published, therefore we cannot write about it without giving readers a chance to listen to it. Ideally. Unless you are offering us a premiere. Many tracks will be on YouTube or elsewhere prior to release. Do you notify a band when you have reviewed there music by email ? They will be tweeted and it will be on here, on Facebook and Twitter for them to see.